OCNA offers a wide variety of services to our members, of special interest is our events, awards, and training courses. 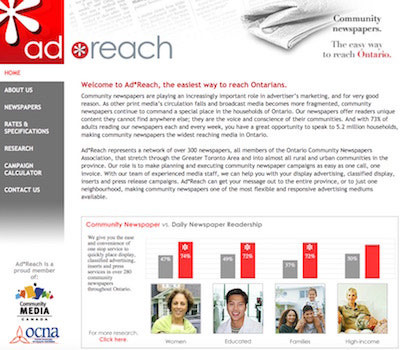 Ad*Reach is the display advertising arm of the OCNA. 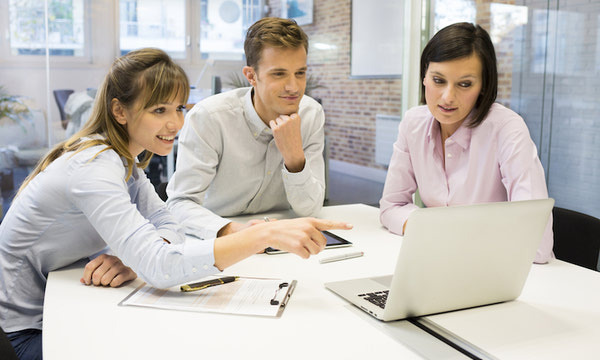 Ad*Reach works with advertisers, agencies and various levels of government to place display, display classified and insert advertising into our members newspapers. 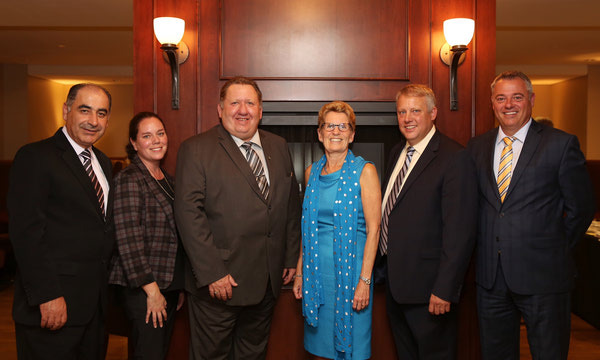 OCNA is focused on ensuring that the voice of Ontario s Community Newspapers are heard by those at the provincial and municipal levels of government. 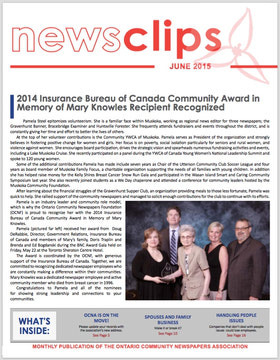 NewsClips is published online as a digital flipbook and sent via e-mail to members. 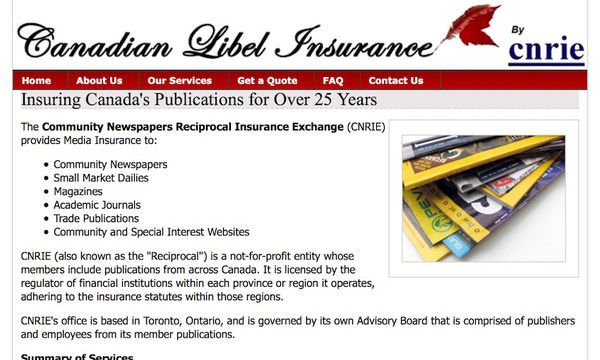 It contains up-to-date industry information as well as details about upcoming association services and events. Our members automatically become members of the CCNA, also known as Newspapers Canada, when they become an OCNA member. 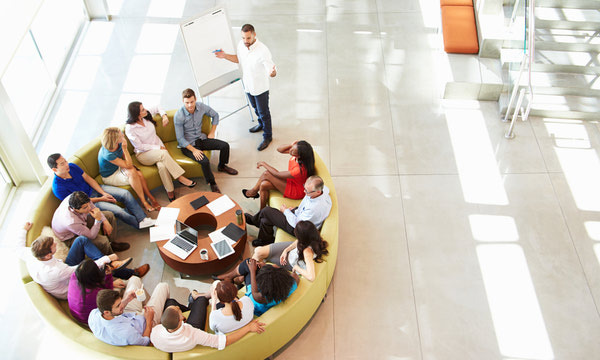 CCNA membership includes such services as national communication, conferences, federal government advocacy on issues affecting members. OCNA offers a wide variety of services to our members, of special interest is our events, awards, and training courses we offer.